On October 28, 2016, at approximately 1630 hours, Jeri Williams, formerly Police Chief of Oxnard CA, became the City of Phoenix’s new Police Chief when she was officially sworn in by her husband, Justice of the Peace Cody Williams. The ceremony, attended by hundreds, took place at the Phoenix Convention Center. 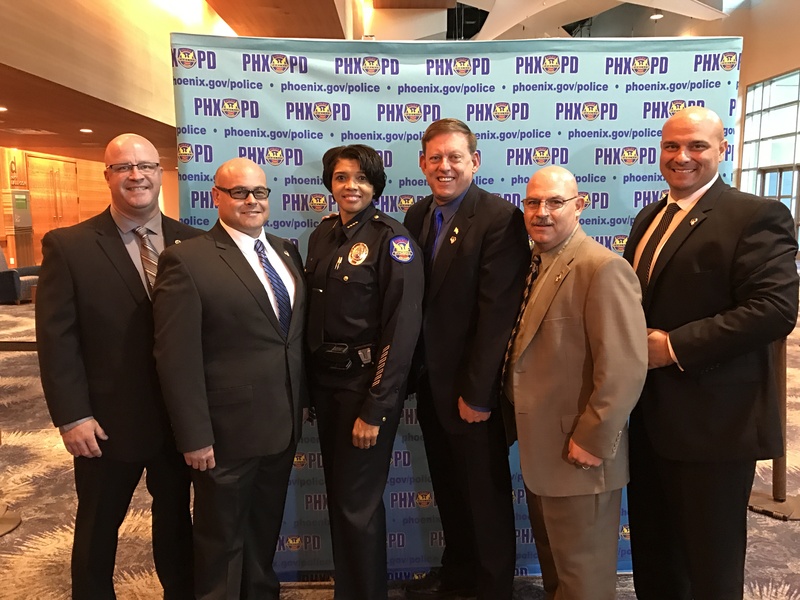 PLEA would like to congratulate Chief Williams on successfully competing for and winning the spot as Phoenix’s new top cop. We look forward to working cooperatively in the labor management arena with Chief Williams to solve challenges as the organization moves forward.